Day 3 ended in, of all places, the Cleveland National Forrest. Namesake of my hometown? I may never know. 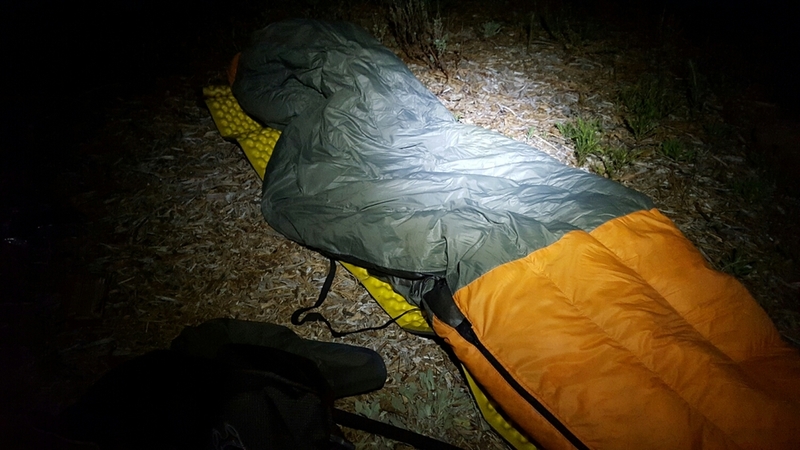 With a just a sleeping pad and my sleeping bag (wearing just about every other piece of clothing I brought), I set down for the night on a cropping of mulch. Sleeping without a tent is often referred to as cowboy camping. 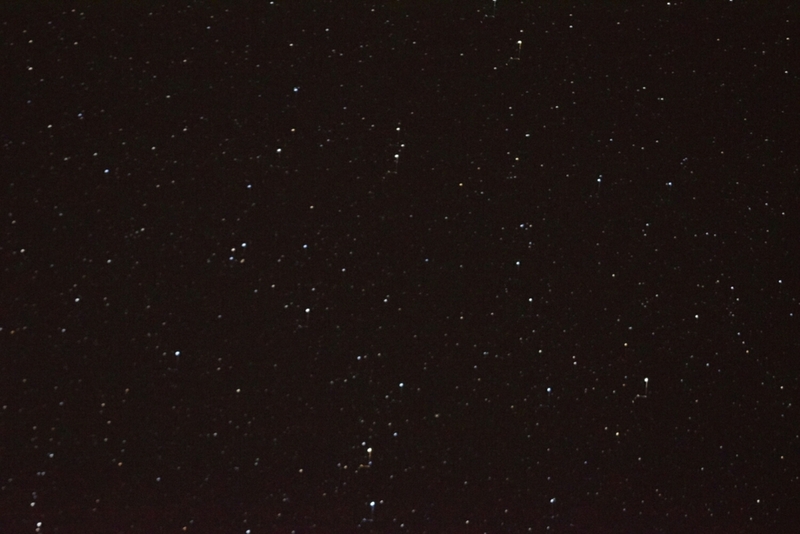 I could see my breathe, but I could see the stars. There's nothing analogous that comes to mind. The weather's cold up here at night, in the desert, at 5,400 feet. I'm at PCT Mile 47.5. Mt. Laguna was a tough ten mile hike today. 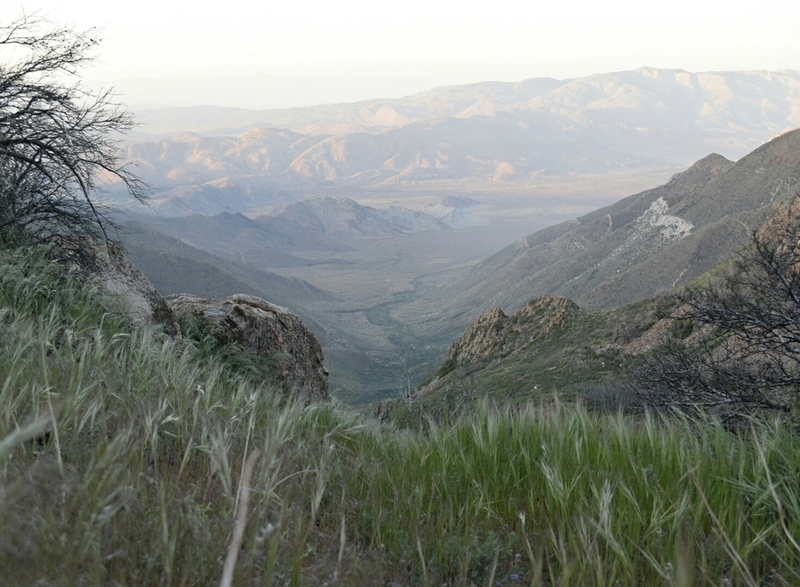 I spent about 3 hours in "town" (a general store, a sporting goods store, a post office, and a lodge), then hiked off for another 5 miles to catch several views of the desert below. Before leaving I ran into an interesting Croatian man, and his Korean film crew. Nikolah, age 37, is on his way to allegedly become the first Croatian to thru hike the PCT. Maybe six (6) Koreans, some by foot, some by support van, will document his journey the entire way. According to Nikolah, the documentary has a spiritual angle and will cover how one connects religion to nature. Nikolah spent three (3) years studying to become a Franciscan Monk. But like many men before him, his plans got turned upside down when he met a girl. Now they are married, have a 5 year old son, and Nikolah won't be returning to the monestary. While I was sitting outside the Laguna general store, listening to Nikolah tell his story, a Chicago man interjected, "Do you speak Korean?" "No." said Nikolah in a thick Croatian accent. "Does the film crew speak English?" "Not very well." said Nikolah with a big smile.